The Learning Zone lies at the heart of the regeneration and redevelopment of the former steelworks at Ebbw Vale, the largest regeneration project in Wales. 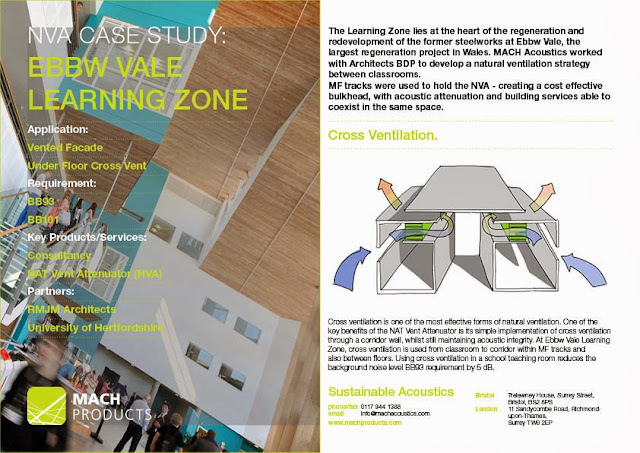 MACH Acoustics worked with Architects BDP to develop a natural ventilation strategy between classrooms. MF tracks were used to hold the NVA - creating a cost effective bulkhead, with acoustic attenuation and building services able to coexist in the same space. The case study is a prime example of the NVA's ease of install and space saving advantages. 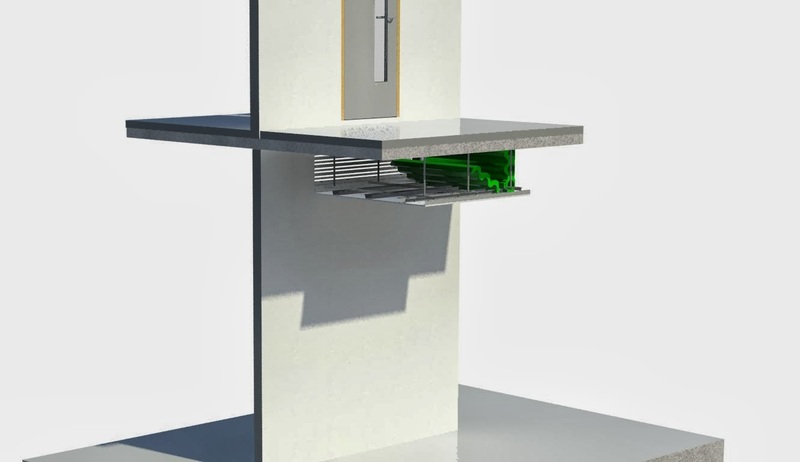 The render above demonstrates how the NVA installs onto the MF tracking system.Generally a 1100mm depth NVA is used to sit between the standard 1200mm width between MF supports. The foam is positioned within the MF track in layers to form the honeycomb arrangement, which allows air to flow whilst attenuating noise.